Just earlier today at E3 and nearly an hour or go in an article on Rockstar’s website, the announcement was made that Grand Theft Auto V will be coming to the PlayStation 4, Xbox One, and PC sometime this Autumn. The initial reveal manifested into a video (see source) that was shown for the first time during Sony’s E3 press conference earlier today. GTA V was originally released for the Xbox 360 and PS3 last year, and since then, has earned record-breaking sales and plenty of praise. Surely, when running on next-gen or PC hardware, GTA V will continue to receive praise as it will be able to be played and experienced unlike ever before. By running on the PS4, Xbox One, and PC, GTA V will be able to take full advantage of superior capabilities when performing both in the respect of gameplay and in the area of graphics. What gamers can expect from the utilization of more powerful technologies in GTA V includes being able to see significantly better texture details and improved resolutions across the virtual rendition of Southern California. Arguably, the most interesting improvements will lie within on how the setting itself functions. For example, denser traffic and more detailed ocean waves will surely be noticeable details to gamers as they will see the life that lies within the game’s setting truly be active and deep. Furthermore, according to the article on Rockstar’s website, new wildlife, and upgrades to the weather and damage systems will be some additional empirical advantages that GTA V will have on the aforementioned three platforms. Perhaps car crashes will have more detail, and/or there will be advanced types of (inclement) weather including seasonal changes. Either way, the upgrades will surely allow GTA V to be worthy of being called a truly deep gaming experience. Even with many improvements in mind, a fair amount of gamers are skeptical as to how well GTA V will sell for the second time around. However, others argue that many gamers who bought the latest-gen consoles or switched to PC passed up on the game in the event it would ever become available these platforms. 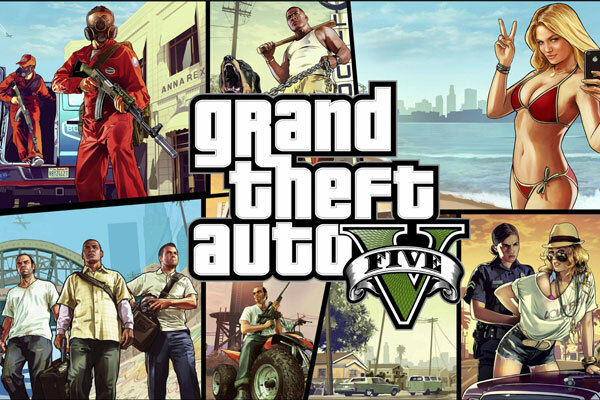 Nearly since it was released for the 360 and PS3, there had been rumors of Grand Theft Auto V being available for the latest-gen consoles and PC. Now, the gaming community has assurance of the upgrades and either a whole new world or a familiar one to jump into. Look for preorders sometime tomorrow at http://www.rockstargames.com/order. I would like to personally thank Digital HD and Adzee for informing me of this significant news.